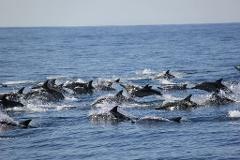 Swim with wild dolphins on the Bay’s premier dolphin eco tour. Get closer to dolphins, orca, whales & seals on board our luxury high speed vessels. Join us at Dolphin Seafaris for the experience of a lifetime!